Finance Minister AHM Mustafa Kamal yesterday expressed his optimism that the GDP growth rate in the current fiscal year (FY19) would reach near 8.5 percent surpassing the fiscal target of 7.8 percent. “As per an international think-tank, Bangladesh’s GDP growth will reach 7.5 percent in this year. They actually predict in a conservative way. I think, the GDP growth will reach to near 8.5 percent,” he said, reports BSS. Mustafa Kamal was exchanging views with officials of the finance ministry at his secretariat office after taking oath as the finance minister. 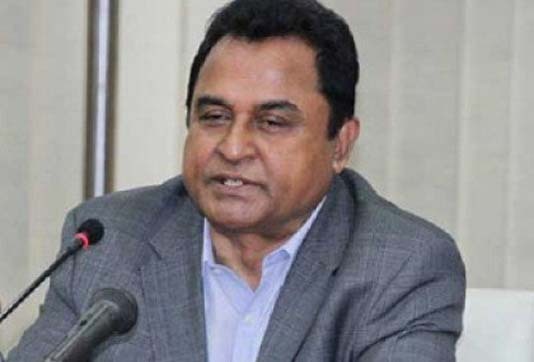 Kamal said Bangladesh has achieved remarkable successes in the last ten years and the country has attained 41st position among the largest economies in the world in 2019, up from the 43rd position since last year, as per the UK based think tank ‘World Economic League Table’. If the country improves maintaining this trend, Bangladesh will reach within 20 countries in 2041 as per the largest economy in the world and the top 20 countries considers as developed countries, he added. The finance minister urged authorities concerned to come forward and take necessary reforms for bringing the non-performing loan (NPL) at a tolerable level. “We should take necessary changes for bringing the NPL at a tolerable level. The existing rate of NPL is around 13 percent. If we can keep the NPL at 7 to 8 percent, it will play a vital role in the country’s economy,” he added. Referring to the ongoing upward trend in the stock market, Kamal said the national election has brought confidence among the people, leading the capital market to upward trend. He underscored the need for strengthening the bond market for collecting long term investment of the business community. He said Bangladesh should make special focus on increasing the country’s tax to GDP ratio for accelerating the development activities. “Currently, the tax to GDP ratio of Bangladesh is around 8 to 9 percent. We should take it to 16 to 17 percent,” he added.